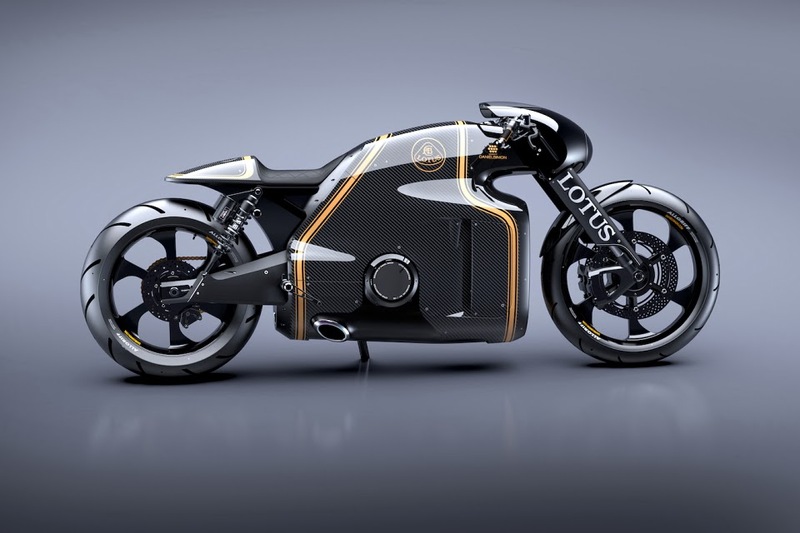 Following two years of planning and intense development, Kodewa Performance Motorcycles has announced that the prototype of the world’s first motorcycle to bear the legendary Lotus marque is now road registered and ready for action. 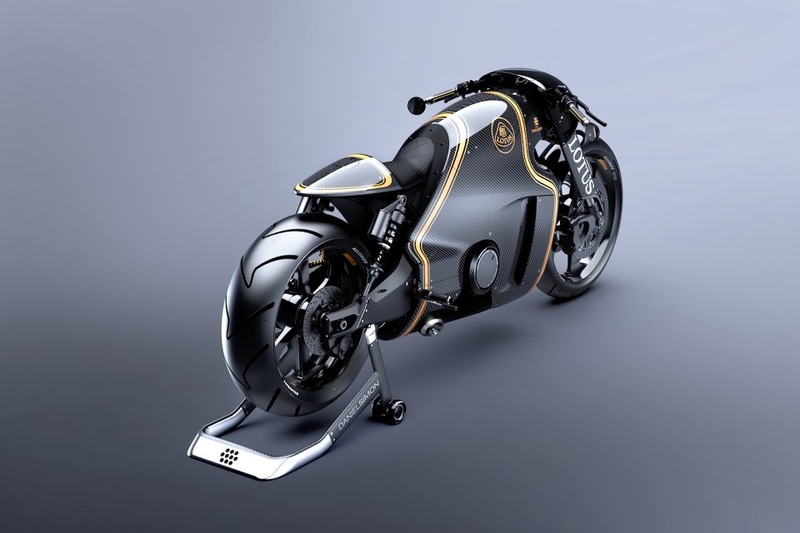 The C-01 combines ample power via a V-twin engine with a distinctive body designed by Daniel Simon integrating carbon fibre, titanium and aerospace quality steel. 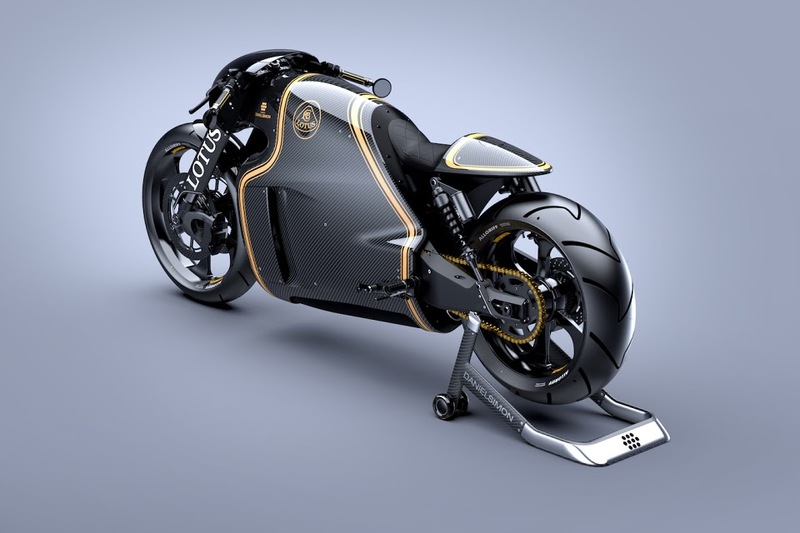 Simon is a German concept designer and automotive futurist, he’s best known for his vehicle designs in movies like Tron: Legacy and Oblivion, and his book Cosmic Motors. The C-01 will be available in a range of styles some of which pay homage to Lotus’ sporting pedigree. 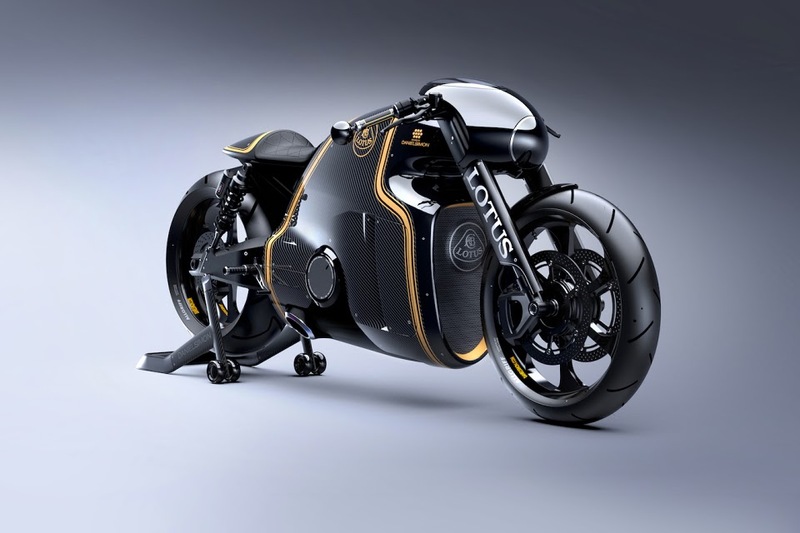 A customization service is also available, limited only by “the imagination of the client.” With an exclusive production run of just 100 units, superbike collectors and fans of the Lotus brand will need to move fast to secure one.